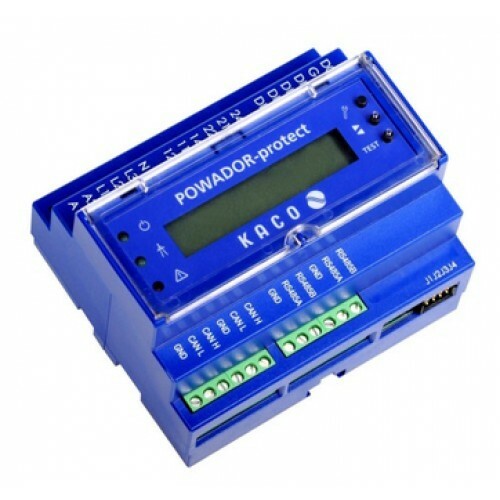 Powador-protect is a voltage and frequency protection device and a control unit for PV systems that feed into the medium- or low-voltage grid. If an interface protection test is not possible due to a large number of string inverters or lack of inverter test terminals, Powador-protect can be used as central interface protection according to VDE-AR-N 4105 and CEI 0-21. Powador-protect also offers the functionality for feed-in management. It evaluates potential free contacts provided by the control system of the distribution network operator and transmits confi gurable feed-in commands as defi ned by the distribution network operators.